Plastic…The latest News…Part 2 around the world… | Retired? No one told me! UN Secretary-General Antonio Guterres warns the world is running out of time to contain climate change. Each year this figure increase and it is said that in 10 years time production and consumption with double it currently stands at 8 million metric tons finds its way into our oceans. An obvious choice as I live here …Thailand is looking to ban the use of very thin single-use plastic bags in 2022, followed by single-use plastic glasses and straws three years …Thailand is also to ban foreign plastic waste from 2021. Thailand and other southern Asian countries are buckling under the sheer weight of imported plastic waste. In January 2018, the UK announced a 25-year plan to set the global gold standard on eliminating plastic waste, according to environment minister Michael Gove. Unlike other governments I couldn’t find much on outright bans it seems to be that it is happening state by state…South Australia, the Australian Capital Territory, Tasmania, and the Northern Territory, have state-wide bans on single-use plastic bags, and Queensland is set to follow in July 2018. 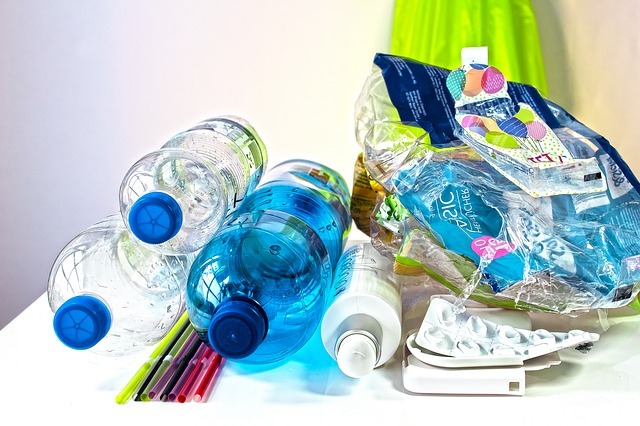 Ministers also endorsed a target of 100 per cent of Australian packaging being recyclable, compostable or reusable by 2025, to be delivered by the Australian Packaging Covenant Organisation. In January 2018, Canada put a stop to plastic microbeads. Although microbeads were permitted to be manufactured and imported for non-prescription drugs and certain natural health products until July 1 2018. Germany’s minister for agriculture, food and consumer protection. Klöckner wants to halve the amount of food thrown away in the country by 2030. Chancellor Angela Merkel’s Cabinet adopted a concept to reach this goal on Wednesday. It is not only aimed at end consumers — i.e. customers in supermarkets — but also at companies, organizations, politicians and scientists. Klöckner made it clear that reducing waste is an “economic, ecological and ethical obligation” for everyone. 2016 saw France become the first country to announce a total ban on plastic cups, plates, and cutlery, to be brought in from 2020. Collective working in Finland received a Plastics Roadmap, which is the first step toward a new, sustainable plastic economy. Of the more than 100 proposals made, the roadmap presents a set of key actions to find solutions to challenges caused by plastics. Pleasing to see that here the call to end plastic waste has been escalating and even becoming a priority during the recent Annual World Economic Forum where consumer products companies were pressurised to put up more stringent strategies to curb plastic waste. Davos-Klosters, Switzerland, 24 January 2019 – Governments and companies are working actively around the world to create a circular economy for plastics. The countries I have chosen to highlight are based on my readership on my blog…There seems to be a trend for this circular economy for plastics which I highlighted in week 15 in my Thursdays Waste Not! Want Not! post and it seems a very positive action. Many countries are focusing on single-use plastics which is a start and Thailand is banning imports of plastic waste which is a fantastic move as I believe as a country we should all be responsible for our own plastic waste. The EU’s Clean Seas campaign has a good sign up rate however I know that some countries who signed up and agreed to the EU’s fishing quota charter are blatantly ignoring them so I do hope they enforce this much better. As well as government pledges there are also many local pledges which are great to see but ultimately it is the source of the problem which needs addressing not recycling and cleanups they just keep it from escalating as fast. But please also remember that textiles also cause environmental problems those glittery tops and dresses when washed all go into the water system and those clothes you recycle often go to landfill and because they are sewed with plastic threads etc they don’t decompose very quickly…Thinking about tossing old clothing in the bin? Don’t. Not even if it’s shredded, stained or no longer on trend. You know those old nylon tights you used to gym in back in the day? Chucking them in the bin for being smelly and stretched out of recognition involves taking 30 to 40 years to decompose. This entry was posted in Plastic and the inside of cans The Dangers, Plastic bottles, Uncategorized, Waste Not! Want Not! and tagged country wide laws, Fashion Waste, microbeads, Plastic bottles, plastic waste on April 1, 2019 by CarolCooks2. What an excellent post Carol..!! Just announcing a ban wouldn’t be effective until we educate ourselves. PLASTICS are polluting our oceans. Two young Americans have founded something called 4Oceans – I’ve done some research and it seems to be on the up and up. For every twenty dollar bracelet you buy, made from recycled plastics in Bali, they promise to remove one pound of plastic from the oceans. They are located around the world and it seems like a good place to donate. The bracelets aren’t much, but then most of the money goes to the clean up and the local Bali economy. Check it out. These stories are SO IMPORTANT – awareness and action are the two key steps to change! Thanks for sharing these – I will be sharing this one as well! An important update on many of our countries and their policies and strategies to eliminate plastic use. Thanks to Carol Taylor and her war on waste and on the environment keeping us up to date..